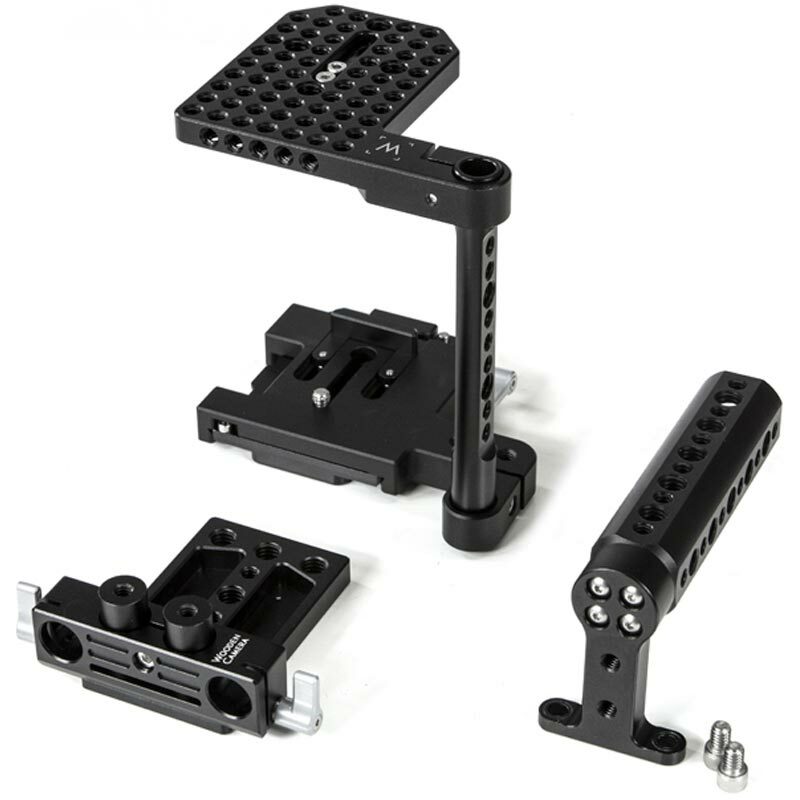 Quick Kit (DSLR, Medium) is a quick release, height adjustable cage with 15mm rod support that fits medium size DSLR cameras like Canon 5Dmk3, 5Dmk2, 7D, 6D, and Nikon D300, D600, D800. It attaches by one low profile screw on bottom and shoe pinch on top. 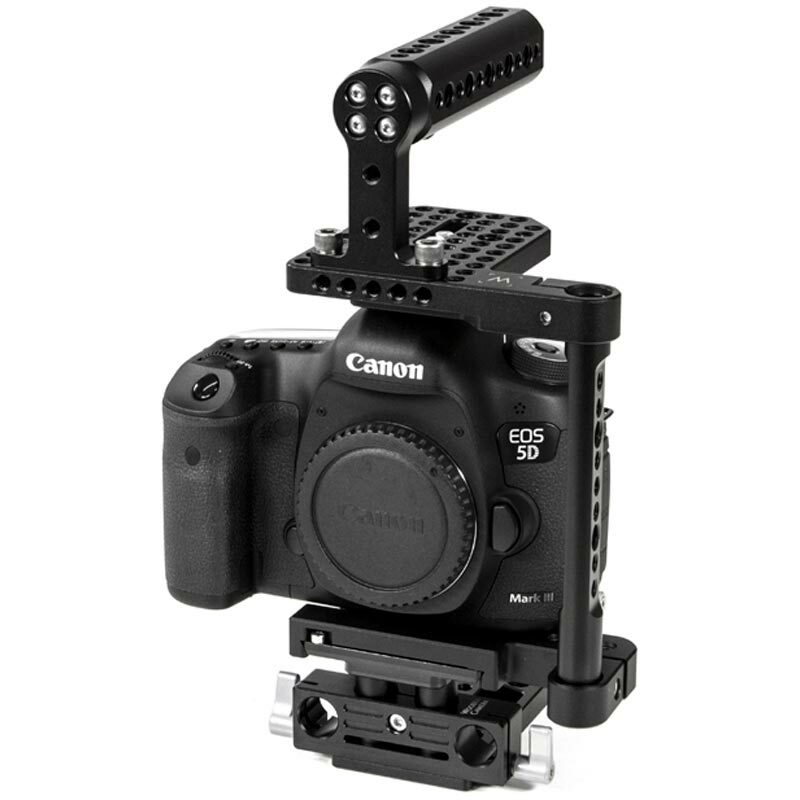 The minimalist design gives you mounting points on the top and side while leaving all of the camera's vital controls on the right grip and left side easily viewable and accessible. Fold out LCD screens can be positioned easily and eyepiece can be utilized while cage is attached.